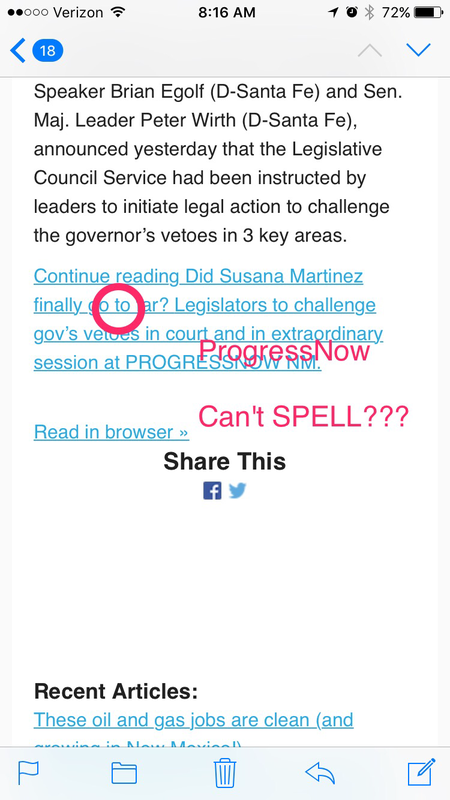 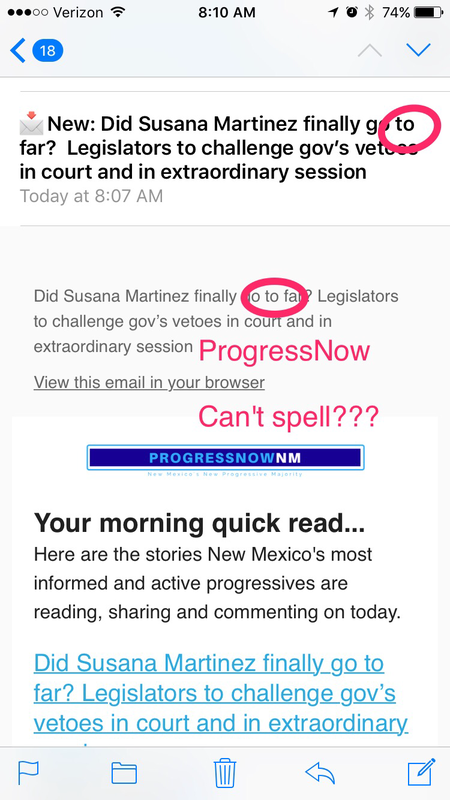 This morning ProgressNow New Mexico released a series of attacks against Governor Martinez– but the orginazation is comical because Executive Director Pat Davis and his staff couldn’t even even bother to spell “too” correctly. 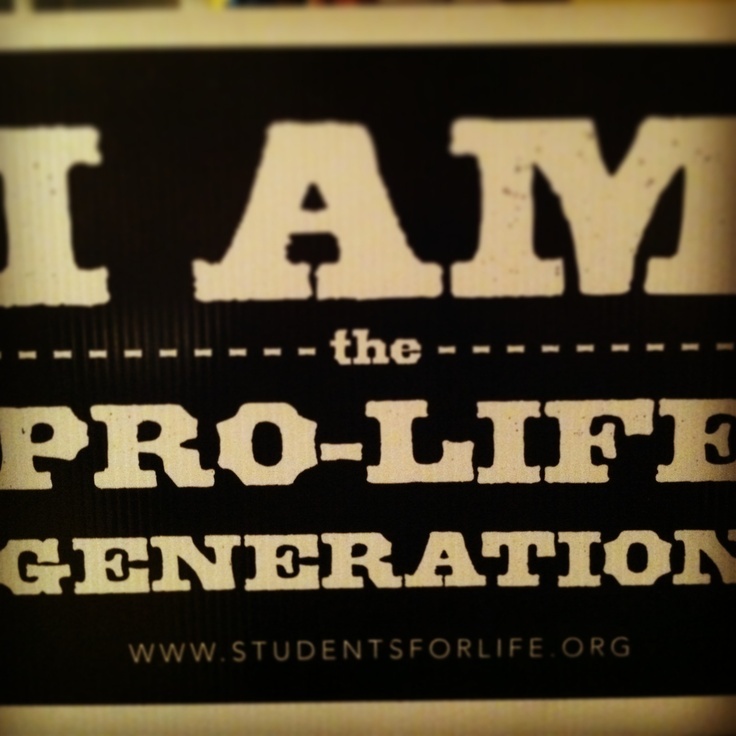 These guys need to go back to the basics! 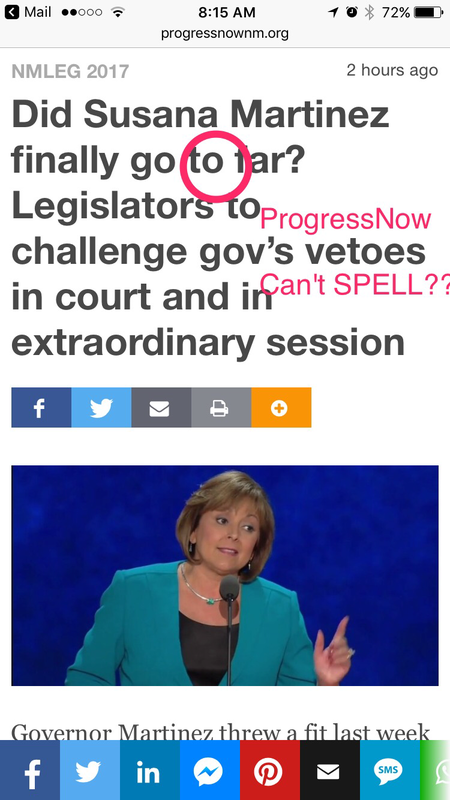 They’re just TOO liberal for New Mexico and they’re trying to school us, yet they can’t SPELL?!? 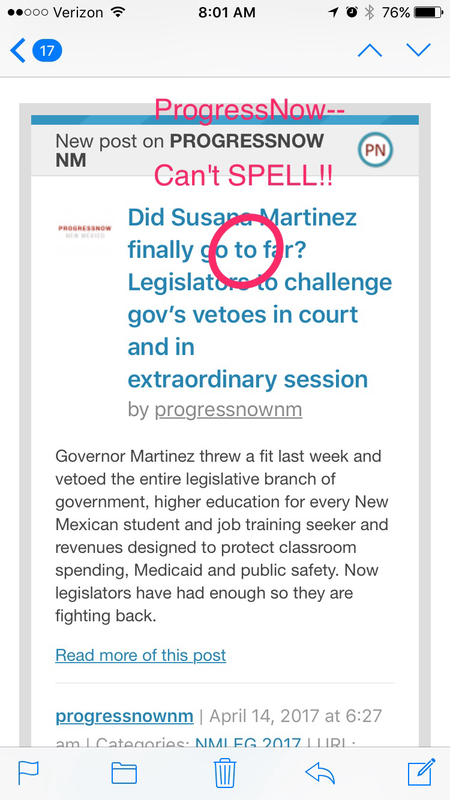 Previous Post: Five Years Blogging, Really!